Those of us who covered Chelsea Manning’s court martial at Ft. Meade relied on the drawings of artists in attendance to illustrate our coverage of witnesses testifying, dramatic proceedings, and vital courtroom moments. Debra van Poolen, one such artist, wrote about her experience here. I’ve thanked Debra in a piece explaining the value of her and others’ images, first published here at WARP Place. Relatedly, see artist Clark Stoeckley’s book-length graphic account of the trial here. We are, increasingly, a visual people, overloaded with imagery at every turn. Thus the army’s (and administration’s) strategy to turn what should have been a trial available to the public for witness, conversation, and debate into a covert one made sense. No cameras, no cell phones, no computers in the courtroom. Metal detectors scanned our every inch for a hidden lens or wire. Uniformed muscles with weapons lined the walls, escorting us out to stretch our limbs and rest our eyes, watching, retrieving us. In the media room, a relaxed appearance betrayed an even more sinister crackdown on any attempt to publicize the show trial of U.S. Army Private Chelsea Manning. This review was first posted here on May 24, 2013. Alex Gibney’s “We Steal Secrets” chronicles WikiLeaks’ front-page, world-shocking 2010 leaks from inception to publication to aftermath, framing WikiLeaks’ work as a meteoric rise giving way to a self-incurred implosion. Though the movie does laudably transition away from its opening focus on Julian Assange by reminding viewers that Manning is the courageous whistleblower who deserves at least as much public attention, Manning’s story only makes it into about a quarter of the two-hour film, which quotes journalists, former WikiLeaks members, high-ranking government officials, and fellow soldiers. 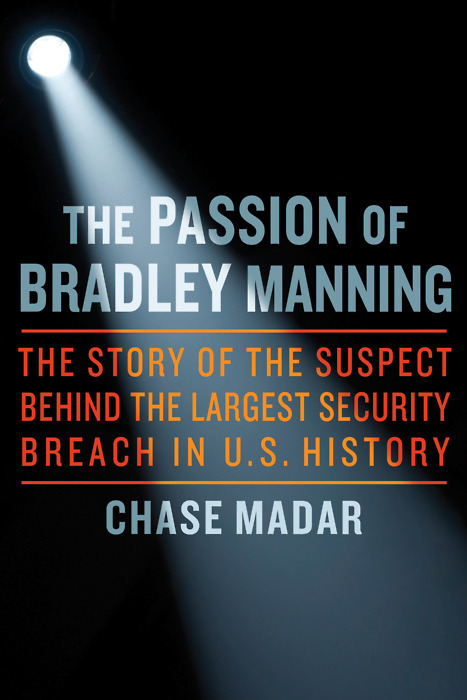 Chase Madar is a civil rights attorney and author of the new book on the accused WikiLeaks whistle-blower, called “The Passion of Bradley Manning.” The book looks at Bradley’s motives, his treatment by the U.S. government, and the political issues his case brings up. Chase answered a few questions for the Support Network about Bradley, his new book, and the crackdown on whistle-blowers in America. You’re a civil rights lawyer, a writer on politics and civil liberties, and a contributing editor for the American Conservative. 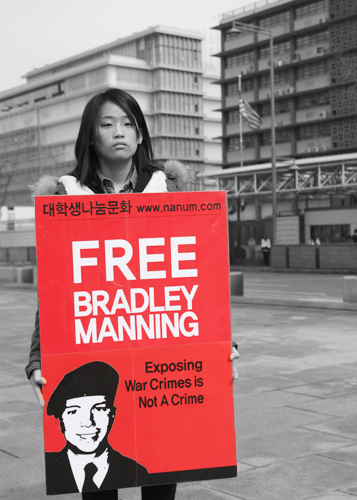 What drew you to Bradley Manning? Few events scream to be written about like l’affaire Bradley Manning. First there’s Private Manning himself, he’s like someone out of a novel or a heroic folk ballad. He’s a small-town kid who’s become an international cause. He’s gay, he’s brainy, he’s critical of his country, but he’s intensely patriotic and a deep believer in responsibility for one’s country. He refuses to help round up Iraqi citizens and hand them over to the authorities who are, even after the U.S. occupation, still torturing prisoners right and left. He brings us incredible knowledge of our wars and of how our foreign policy works, and he gets severely punished. Manning is the last great Enlightenment martyr. The chatlogs with Adrian Lamo by themselves read like a tragic novella. I said he’s a novelistic character, but the drama is almost operatic. Audio of my talk is here, starting shortly after the 17-minute mark. When video of the talk or the rest of the conference is online, I’ll post that as well. This weekend, beginning tomorrow night, the United National Antiwar Coalition (UNAC) is hosting a peace conference in Stamford, CT (just 45 minutes from Grand Central Station, NYC), to bring together major groups working to end war, imperialism, poverty, and social injustice. I’ll be speaking briefly on a Sunday morning panel called “Victims of Political Repression Speak Out.” Representing the Bradley Manning Support Network, I’ll discuss the material PFC Manning is alleged to have leaked, why he shouldn’t be on trial in the first place, and how the military is railroading his court proceedings to make a chilling example of him. Below is a schedule of speakers, panels, and workshops. Come if you can, or check out the livestream!